Don't go, coach! : Seven-year-old E.J. 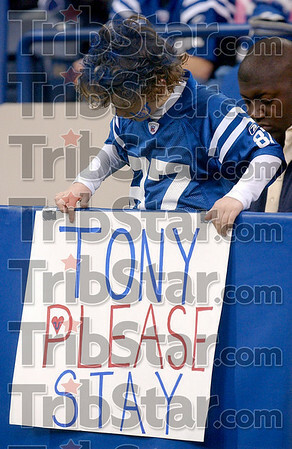 White of Carmel attaches his sign to a wall in front of his seat Sunday before the Colts' game against the Chargers in Indianapolis.